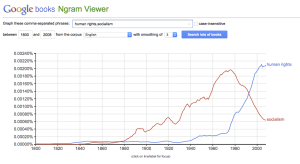 The “history of human rights” is not a field I personally think ought to exist. The most important fact about it, in a certain sense, is that no one ever proposed to bring it into being until the present day. As its coverage expands backwards before the near present, it normally describes some interesting but partial inquiries that have long figured and could still figure in various prior fields, from the history of natural law in the seventeenth century to the history of revolution in the eighteenth, and from the history of humanitarianism in the nineteenth to the history of international organization in the twentieth. To the extent current inquires into “human rights” in those long-extant fields are restored to them, the inquiries usually achieve more depth and sophistication. Conversely, to the extent the history of human rights becomes freestanding, it risks losing touch with the contexts in which our ancestors may well have developed the antecedents of contemporary human rights, but only by intentionally hewing to their own intellectual, moral, and political projects rather than inadvertently anticipating ours. There is a hoary literature indirectly bearing on the origins of the very idea of human rights — i.e., moral entitlements that accrue to humans on the basis of their humanity alone. The theme of human rights as moral precepts, indeed, makes especially clear that the what is mainly occurring today is the erection of a freestanding “history of human rights” — for excellent prior historians understood rights were a minor theme (at the very earliest) in medieval philosophy or early modern moral thought. If familiarity with those earlier approaches didn’t lead us to stress that such philosophical schools prioritized natural duties (even if they invented natural rights along the way), we might badly distort why rights were propounded, and what purposes — in contemporary philosophical parlance, “functions” — they were originally propounded to serve. Neither William of Ockham nor John Locke was trying to lay the ground for Aryeh Neier or Samantha Power. Most historians who have written about human rights are interested in those functions, plausibly understanding them as embodying moral precept in politically applied and historically specific ways. For that reason, historians of human rights will get along well with contemporary “functionalists” in philosophy (e.g., Charles Beitz) who go so far as define human rights in relation to certain historical practices such as the rise of international legal regimes and transnational social movements that have made the very idea famous in current form, rather than as straightforward moral truths in some abstract and timeless sense. However, this doesn’t commit historians interested in changing functions to “functionalism” in the sense of committing them to a philosophical thesis about what human rights ultimately are. It does commit them to the unremarkable proposition that the wildly different political functions that claims of natural or human rights have played are extremely interesting and worthy of study. Thus, historians can justifiably bypass the current dispute in philosophy between self-styled “orthodoxy” (that treats human rights as moral precepts) and “functionalism” (that defines them through their more specific international application). Yet it would be regrettable if historians treated long-ago natural law and natural rights merely as antediluvian discourses that simply had to exist in the first place for human rights to acquire whatever their later applications and functions have been. After Friedrich Nietzsche, historians may not want to abstain on whether morality itself is a variable human institution that is elaborated, theorized, and practiced in a complex relationship to its contexts. If philosophers themselves fail to practice it, so-called “genealogical” inquiry into human rights as abstract normative claims also has to be legitimate, even if it raises the hackles of certain relativist-baiting moral realists today. Sadly, there is no “history of human rights” in this sense about the medieval Christian and early modern complex of beliefs and practices in which the abstract notion of rights inhering in humans as humans was first precipitated — other than Nietzsche’s Genealogy of Morals itself, if one is willing to extrapolate from it. Yet if genealogy is a legitimate project, it is unlikely to explain much of what occurred to that abstract claim later on as it acquired serial functions, many radically unimaginable until recently. Historians unapologetically focusing their work on modern functions of abstract precepts will naturally make their main concern the different and even rival attempts to create a political agenda out of human rights (and consequent institutions and practices). The central task of looking back is to distinguish human rights in their current functionalization that both made them famous and precipitated the desire for a freestanding and long-term history from the earlier political agendas in which rights were functionalized. The most illuminating political agenda that human rights were first made to functionally serve was revolution. It remains the case that human rights long had an internal connection with sovereignty, serving (at least after Thomas Hobbes brilliantly developed rights-based sovereignty in the first place) to justify switching rulers or updating citizenship. Far more rarely and generally much later, human rights were linked to the attempt to create technologies of internal constraint on sovereignty that would guarantee protection of basic rights (e.g., bills of rights, judicial protection of them, etc.). There was little to no rights-based project of external constraint on sovereignty. For most of the nineteenth century, for this reason, the most pertinent functionalization of human rights was nationalism (often violent mobilization to achieve revolutionary sovereignty), trailed by the attempt to keep markets unregulated (against those who hoped to interpret the rights of citizenship more solidaristically or — more typically — appealed to other ideologies to counteract the libertarian focus of much early liberalism). It remains odd that for two hundred years before Lynn Hunt no one attempted to write a book about the Enlightenment and revolutionary era focused singlemindedly on its significance for human rights. (You can count Georg Jellinek’s essay if you want as a precursor, but he wasn’t really trying to offer a general account.) If so, just as it is legitimate to ask whether our concern about human rights as moral precepts distorts our understanding of medieval or early modern natural law discourses generally, it is fair to worry that that Enlightenment and revolutionary era in which the first “functional” application of human rights was achieved long seemed interesting for wholly different reasons, and different features of it were singled out for scrutiny. Of course, history is always written from the present, and there is nothing wrong with looking back to the past with new lenses — but it seems as if we should always care about the contingency of our optometric fashions. Aside from the insistence that human rights are ultimately moral precepts rather than either a political or “antipolitical” agenda, dealt with simply above, the enormous opprobrium heaped upon the above arguments has typically taken one of two forms: affirming continuity or stressing the so-called “polycentrism” and “plurality” in the history of human rights. As to the first, it would be foolish to claim — and fortunately to the best of my knowledge no one ever has — that contemporary human rights politics exists in absolute and incommensurable rupture with what came before (especially insofar as it is plausible to say there have been serial functionalizations of similar background moral precept). Had there been no French Revolution, then there could have been no Universal Declaration, and had there been no Universal Declaration, then no international human rights movement. The argument, rather, was that this sort of continuity explains little, and that discontinuity is more interesting; and those twin assumptions remain compelling. As to the second: there is no doubt that there have been (and still could be) many fora for and versions of human rights, but this point could not possibly absolve historians from asking which have exercised lesser or greater — or even hegemonic — sway. Consider a history of Marxism (such as Leszek Kołakowski’s) focusing on its culmination in the rise of various totalitarian states. It would be one thing to gesture, as anyway Kołakowski more than did, to the wondrous variety of Marxisms, both in different geographical spaces (“Western” versus “Eastern” Marxism) and idiosyncratic versions (Austro-Marxism, for example). It would be quite another, however, allow insistence on polycentrism and plurality to displace the supreme task: Kołakowski certainly did not. Indeed, it would be analytically disastrous to omit or fail to acknowledge, or in fact make the central problem, which one of the versions has prevailed and enjoyed dominance. The themes of polycentrism and pluralism are unexceptionable to the extent those who deploy them insist on fidelity to a complex historical record, and obfuscatory to the extent they are intended to distract from the overall ecology in which specific forms of human rights have prevailed. 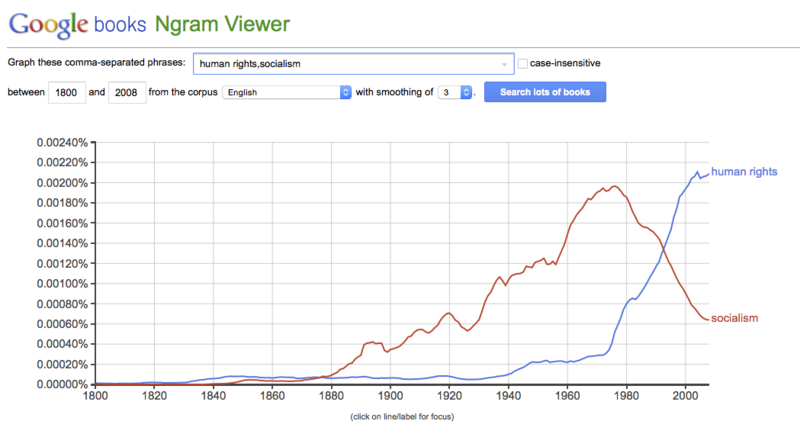 What I currently find interesting – admittedly due to certain Marxist critics of The Last Utopia raising more troubling objections I did not anticipate – is the intersection of the history of human rights in our time and the history of political economy. Put another way, what we really need to account for (given that the human rights revolution since the 1970s accounts for scholarship on human rights by historians of all times and climes) is its recent history since circa 1980, when my book unaccountably stopped. But then it is fair to consider whether developments in capitalism formed part of the circumstances in which human rights politics have made their way. You don’t have to be a Marxist to consider this problem important; I am not one (pretentious “theses” notwithstanding). Liberals too face the challenge of what the relationship is (if any) between our ineffectual romance of human rights and our very real achievement of inequality. It seems clear that there is one – even if my Marxist critics are wrong that human rights are simply a matter of ideological cover for “neoliberalism.” It could, at first glance, just be a matter of coincidence that Milton Friedman won the Nobel prize in 1976, and Amnesty International in 1977. But on closer inspection the two phenomena seem connected against a common background. The widespread turn towards national welfarism that had been consecrated at the end of World War II in various forms – in Christian, socialist, communist, postcolonialist (and before World War II in pioneering fascist) forms —reached its limits in tandem with the takeoff of human rights and neoliberalism in their respective domains of international ethics and economics. What one might call “welfarism in one country” as a project of state-led growth dominated from the 1930s and 1940s through the 1960s, and indeed the Universal Declaration offered one template for that project, generally disregarded at the time thanks to the plurality and priority of other framings. Human rights and market fundamentalism displaced national welfarism. True, aside from some commonality of moral precept like normative individualism, they are otherwise little more than companions with a similar foe thriving in the same ecology, rather than regularly collusive. But we cannot fail to reconstruct their common ecology. For the moment, I would propose the following contrast. National welfarism was both egalitarian and efficacious, within its geographical, territorial, and often ethnic boundaries. Some projects of the 1960s and 1970s — consider Gunnar Myrdal’s ideas, or the short-lived New International Economic Order proposals — proposed the sequel of globalizing welfarism. Today’s weak proposed constraints on multinational corporations framed in terms of human rights (simply to take one issue area) pale in comparison beside the aspiration to make the economy serve global equity that once seemed the logical sequel to or expansion of national welfarism. In contrast to those dreams, human rights exist in an accommodating relation to the triumph of “neoliberalism” (or whatever one wants to call it). First and most important, human rights concern status but not distributive equality. At best they aim for a floor of protection against indigence in the socioeconomic domain, where the principal victory of neoliberalism is its obliteration of a ceiling on inequality. Second, human rights regimes and movements appear to offer even weaker tools to construct that floor than they do to stigmatize states that deny political and civil rights. In sum, whatever their cosmopolitanism, human rights are neither egalitarian nor efficacious. The history of human rights in the short age of their hegemony teaches that the tools that the regimes and movements protecting our current moral precepts deploy are weak, and have come about with the loss of both more ambitious and egalitarian moral precepts, political agendas to functionalize them, and tools and tactics to deploy in the service of those agendas (see chart below). Sure, it is entirely legitimate to rummage around in ages before “human rights” seeking their origins, attentive to distinction amongst political agendas, or even crossroads at which humanity stood before paths not taken into a different future than our present. Even then, historians would have to consider the recent history — the factual circumstances of our time rather than a counterfactual world one might prefer — that has gotten them interested in the topic in the first place, if only for the sake of investigating missed options. And to that extent, what seems most pressing is to reflect on the disturbing because powerless companionship of the human rights revolution with the triumph of inequality. To my way of thinking, history can contribute in this way to framing the central quandary about human rights: what to do with or about them? The historians of human rights have always only interpreted human rights; the point, however, is to change them — or find something else.